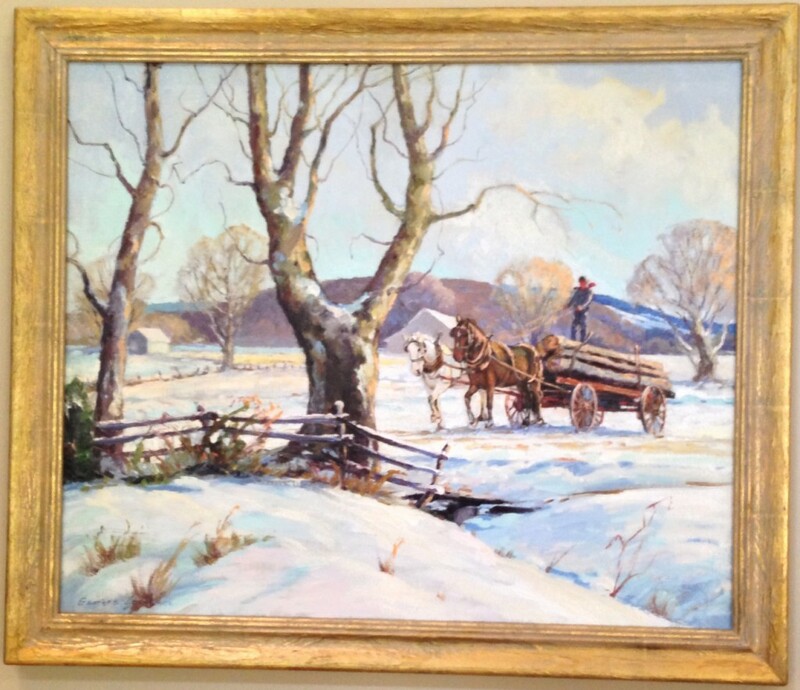 A prominent member of the Brown County Art Colony and President of the Brown County Art Guild, Georges La Chance painted scenic views of rural Indiana. Born in Utica, New York, he later settled in Nashville, Indiana, also studying at the St. Louis Art School and exhibiting at the Hoosier Salon. He was an Indiana painter of impressionist landscapes and first moved to Brown County in the early 1930s. LaChance was a charter member of the Brown County Art Gallery Association. He also exhibited at the Marshall Field Gallery and Art Institute of Chicago, Chicago, Illinois; Sheldon Swope Art Gallery, Terre Haute, Indiana; and the Hoosier Salon, from 1926-1961.